The strategy consulting and its market has developed significantly on account of the turn in the financial state worldwide. Organizations require consulting administrations in order to make their way to the worldwide markets. The need to for advice prompted in the current financial atmosphere has picked up an incredible level in the previous couple of years and is required to heighten further in the present years. As the business associations are moving to cloud-based services and solutions for expanding their business productivity, the necessity for strategy consulting has increased essentially. The shared methodology of consulting firms is determined to modify the strategy consulting market in the upcoming conjecture period. 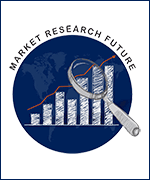 The market research report on the global strategy consulting market is based on its forecast period 2018- 2023. The report studies every macro and micro economic factors that influence the downfall and growth of the global strategy consulting market. The global strategy consulting market has been segmented on the basis of its application, product and regional demand. Based on its application, the global strategy consulting market is divided into Chemical Sector, Financial Sector, Automotive Sector. On the basis of its product, the global strategy consulting market is classified into Business Strategy Consulting, Operation Consultant, Investment Consultant. Geographically, the global strategy consulting market is divided into global regions like Europe, North America, Asia- Pacific, Middle East, LATAM, and Africa. The Boston Consulting Group Inc, A.T. Kearney Inc, Deloitte Touche Tohmatsu Limited and Accenture, Bain and Company, Pricewaterhouse Cooper (PwC), Roland Berger LLC, Marsh & McLennan Companies Inc, Mc Kinsey & Company, among others are some of the prominent players operating their business in the global strategy consulting market.